Transportify offers daily import, export and domestic freight services from economy to express. Freight transport is not always as simple as A to B this where our value added services come into there own this is why we work closely with all of our clients regardless of volumes transport or frequency of the shipments. With a large network of partner agents and transport hubs throughout Europe coupled with our 24/7 freight specialists we can handle all of your shipping requirements with ease. We offer door to door freight solutions form the furthest parts of Europe ensuring your cargo is safely and on time, whether you have offloading facilities or not we are able to make daily deliveries. We even offer a price beat guarantee meaning you can also be confident that you are paying the best possible transport prices from your favorite freight forwarders. 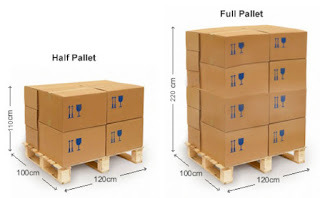 When you need to choose best offer for your pallet delivery service Europe you may be overwhelmed with number of logistic companies which will offer delivery service for you. Which one to choose? This is where Transportify.Eu comes in. We will help you choose best logistic partner by helping you evaluate most important criterias: price, delivery time and carrier rating. Furthermore, we will help you avoid buying delivery service from intermiaderies. Which will help you save money and will leave direct responsibility for delivery on root service provider. In near future we will have a booking form for cargo insurance. We try to help our customers to get best offer not only for delivery but for insurance as well. You can also use our database for a quick transportation cost calculation. It will take few clicks to see delivery price. This we help you save your time and money. We plan to create Europe wide Transportation hub network for the purpose of fast and reasonably priced LTL and pallet delivery service. We always welcome new transport companies to join our network. 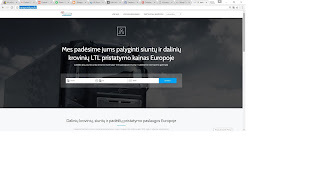 Please write us – partners@transportify.eu.